According to the Greek philosopher Aristotle, humans are political animals. We live in a society that is governed by laws and customs. The society then creates and maintains a government that will enforce these rules and customs that would be followed by its citizens. By doing so, people will be forced to choose which side to take. However, no matter how serious subject politics is, we can’t help but be amused by the funny turns that our politicians do either during their incumbency or during their stands on important issues. But no matter what side are you on this complicated political spectrum, you will surely love these political jokes that we have collected for you. 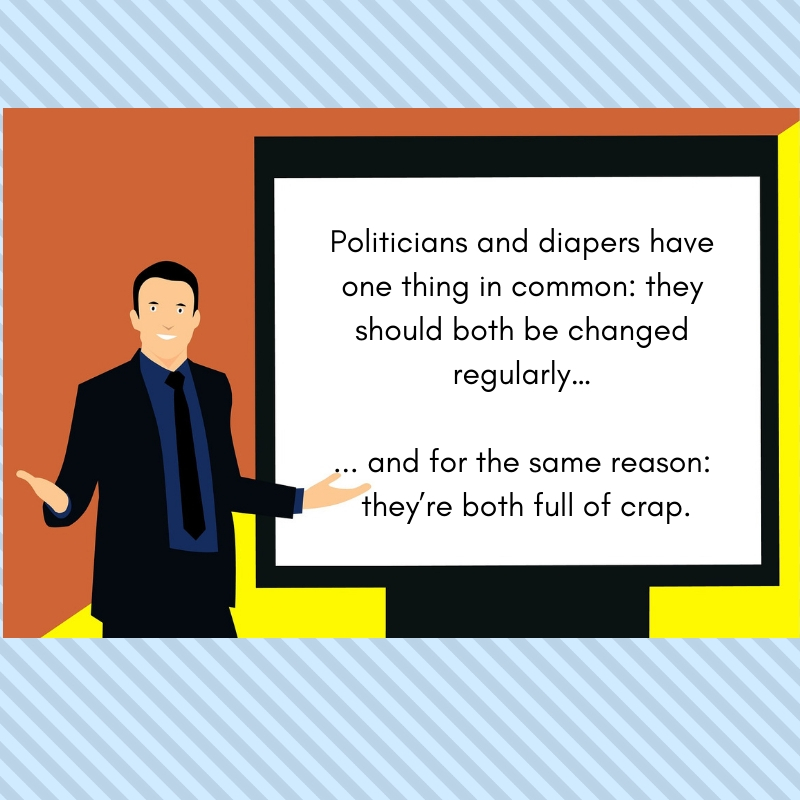 Politicians and diapers have one thing in common: they should both be changed regularly… and for the same reason: they’re both full of crap. Politicians are the same all over. They promise to build bridges, even where there are no rivers. Artificial hearts are nothing new; politicians have had them for years. 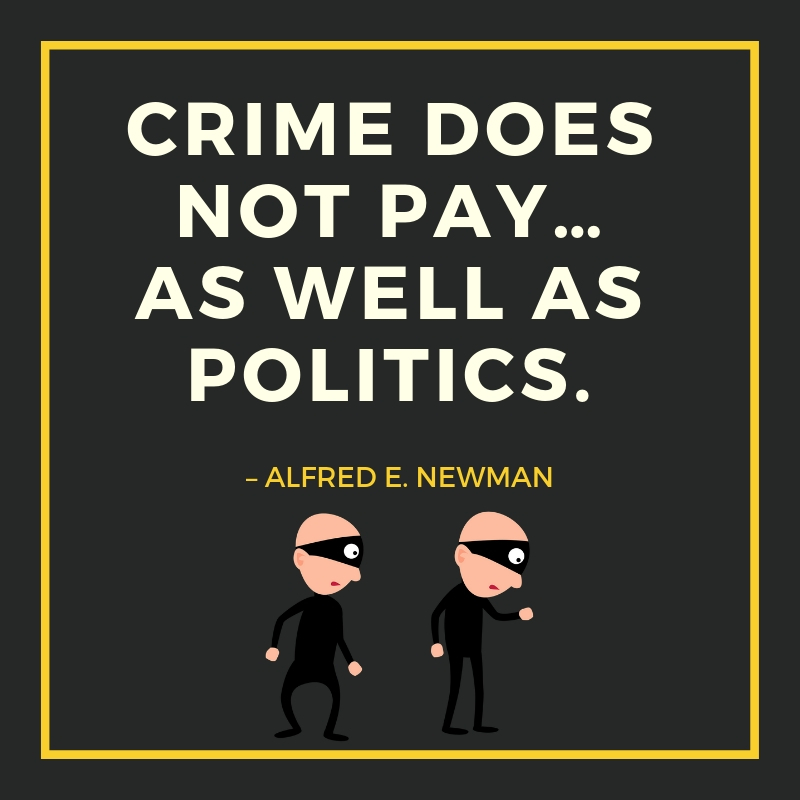 Crime does not pay… as well as politics. 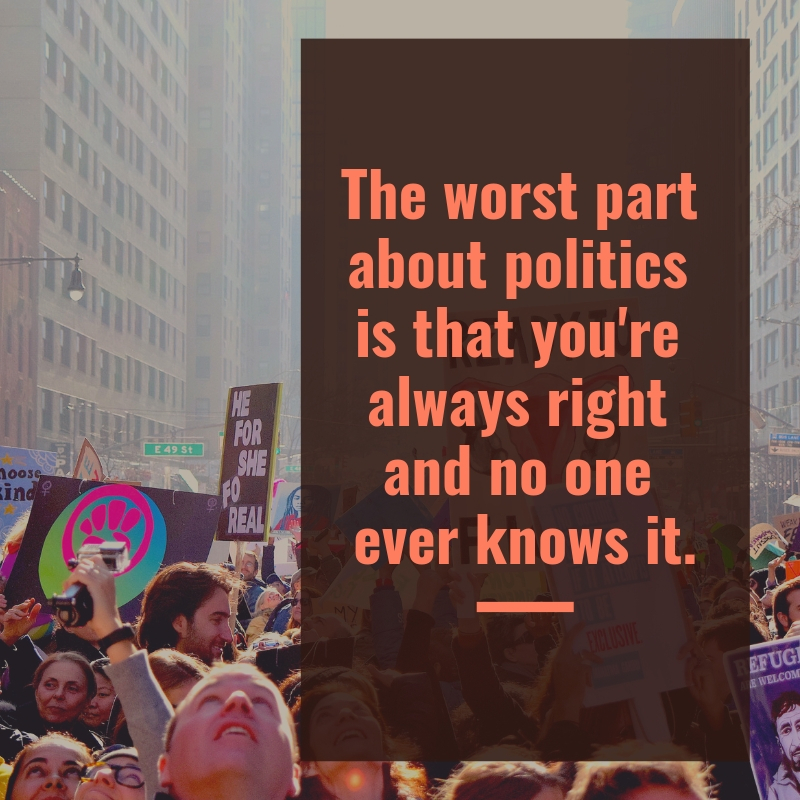 The worst part about politics is that you’re always right and no one ever knows it. I belong to the Straight Talking American Government Party, or STAG Party for short. An independent is a guy who wants to take the politics out of politics. If you are tired of hearing how stupid our politicians are, maybe a few good giggles can help you accept the bizarre situation that we are into right now. We have gathered 21 outrageous political jokes to help keep your sanity on during these tough times.